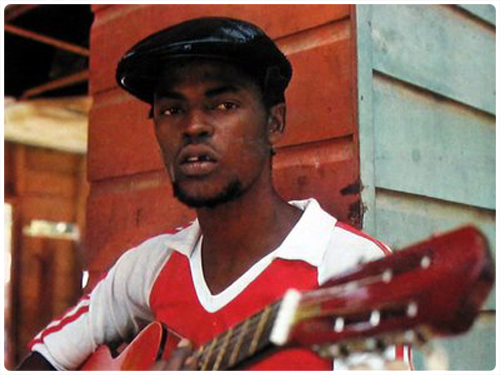 Sugar Minott, born Lincoln Barrington Minott and affectionately known as Sugar “Booga”, was born May 25, 1956 in Kingston, Jamaica. When Sugar’s career started out one of his first roles was “sound man” or music selector for a sound system named Sounds of Silence Keystone. Later on in his career he formed his own Youth Promotion sound system that was very prominent in Kingston’s dancehall scene. This sound system featured artistes such as Jah Stitch, Ranking Joe, Captain Sinbad and other more elusive deejays. Sugar’s Black Roots music label also nurtured some less fortunate ghetto youths at the time who went on to gain prominence with Lincoln’s help. A long list of artistes including Yami Bolo, Tenor Saw, Barry Brown, Nitty Gritty and Garnett Silk may have been hidden from us forever had it not been for Sugar’s great foresight and belief in them. As Sugar’s talents developed and noteriety grew he embarked on many musical endeavors, his most notable was his solo singing career. Sugar grew in the ghetto so there was always that connection in his subject matter. With songs like “Man Hungry” “Ghetto-ology” and “Ruff Ole Life” there was no doubt Sugar was one of the many voices of the poor. But those songs represented only a portion of his life, there was also love. If you know anything about this man you’ll agree he had many a beautiful love song too. I got a chance to speak with Sugar for a radio interview my co-host Papa Wabe and I did a few months before he passed away on July 11, 2010. From that too brief moment the whole conversation made me feel like I had known him personally for years. I’m sure the many who knew him would say the same. So in honor of his earth-day, I’m gonna gift this one to you. Whether you’re familiar with it or you need a place to start, try Sugar Minott’s album Black Roots (1980 Black Roots), one of my many Sugar Minott favorites! Happy Birthday Sugar, you are not forgotten.